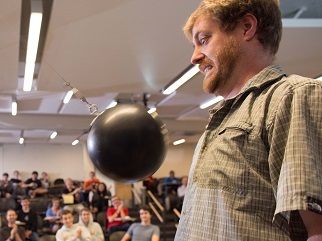 Instructor KC Walsh has received two awards to support his innovative teaching. If I flip my classroom, maybe I can do this with animations? Fellowship and an L.L. Stewart Faculty Development Award to support his research on the effectiveness of flipped classroom materials. Posted in Awards, Faculty, Uncategorized.